This leather-bound volume, written in a very small hand, is an Arabic and Turkish vocabulary. Its catalogue entry was based on a pencil inscription inside which reads “by Mr John Coball, minister to Sir John Finch, Embassador at Constantinople.” Sir John Finch (1626-1682) was indeed Ambassador at Constantinople; but John Coball had never been identified. But it has recently been suggested that the author might actually be John Covel (1638-1722), who served as chaplain to the Levant Company at Constantinople from 1670-1677. Nick McBurney, a London bookseller with an interest in manuscripts and early printing from the Islamic world, suggests that (bearing in mind the vagaries of C17th and C18th spelling!) John Covel – who is also recorded elsewhere as John Covell, Covill and Colvil – could be the author. The pencil inscription was based on an earlier note in ink, and if you look closely at the original ink inscription, the last two lines read “John Coball minister to Sir John finsh / Lord Ambassdore at estumbol”. Constantinople has been known as Istanbul since the tenth century. Compare the word ‘living’ (first word in the second line), and the ‘v’ is similar enough that the original ‘Coball’ could be ‘Covall’ (second word in the fourth line). John Covel was a clergyman, botanist, historian and collector, and during his time with the Levant Company he travelled widely and compiled a series of illustrated diaries. From 1688 he served as Master of Christ’s College, Cambridge. 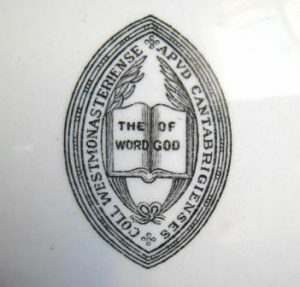 The volume was a gift to the English Presbyterian College – predecessor of Westminster College – from Rev. Thomas Robinson in 1888. Further manuscript papers by John Covel are kept in the archives collections at Christ’s College, Cambridge; and the Beinecke at Yale hold a commonplace book of Covel’s which they have digitised (MS Osborn b140). By Helen, Archivist at Westminster College. Looking after the historical side of Westminster includes some strange and wonderful things! This item was recently returned to the current Student Council by a previous student, and was described as ‘the Student Tea Cup’, which was traditionally awarded annually by the Council themselves to the hardest-working student. This student, it was explained, would need an exceptionally large tea cup – and indeed, it’s the size of mixing bowl, and could comfortably accommodate several pints of tea! – because they would be up all night, working hard and drinking tea. 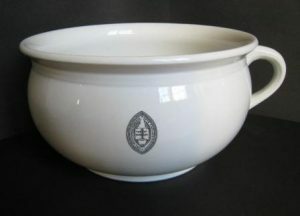 As with other items of the original College china, the “tea cup” shows the Westminster College oval crest. Last presented to a student in the mid-1990s, it isn’t known how long the “tea cup” has been awarded for hard work. It’s actually a chamber pot. 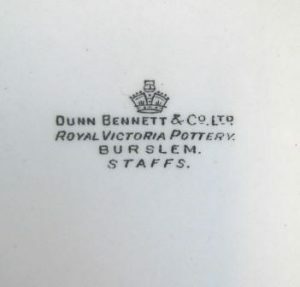 It also bears a maker’s mark on the base for “Dunn, Bennett & Co, Ltd., Royal Victoria Pottery, Burslem, Staffs.” The company became incorporated in 1908, but moved from Royal Victoria works to Dalehall in 1937, so the date of manufacture must be somewhere between those two dates. Perhaps the tradition has been going on since then! 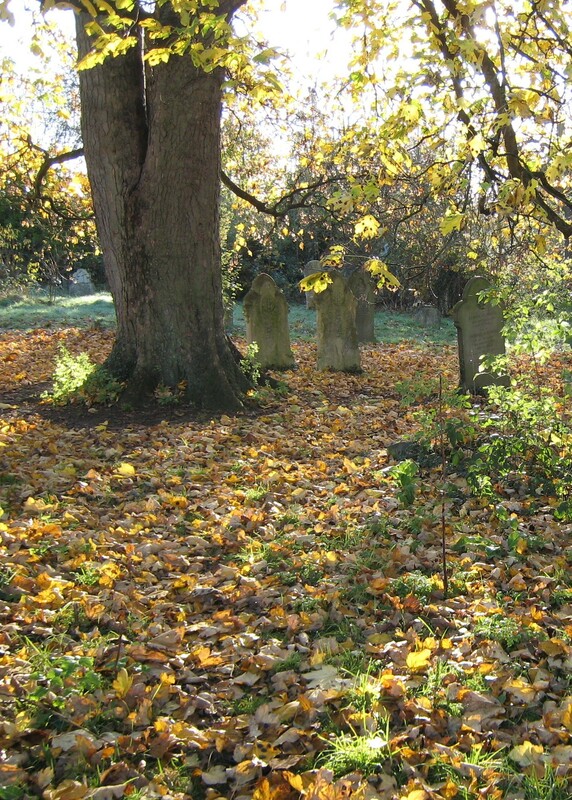 Mill Road Cemetery, Cambridge was founded in 1846, to provide more room for burials when the parishes within the city of Cambridge were full. 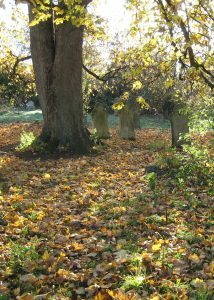 Now full itself, Mill Road Cemetery today is a beautiful and slightly wild spot. It’s still a consecrated churchyard, but is also a nature sanctuary, full of songbirds and blackberries. 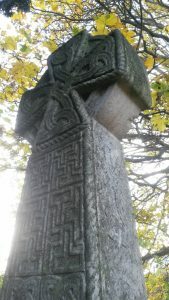 Next to a tall yew bush, Agnes and Samuel Lewis share a gravestone in the shape of a high Celtic cross, carved on all four faces with designs of interlaced knotwork. 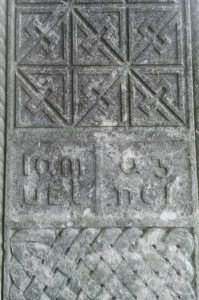 Their full names are written formally on the foot of the stone at the base, but the simple words Samuel | Agnes are written, in insular script, at heart height. Samuel Savage Lewis (1836-1891) was Mrs Lewis’s beloved husband, a Fellow of Corpus Christi and the Parker Librarian; they married in 1887, but he died just over three years later, in 1891. Thirty-five years later, when Agnes, too, died, she was buried by his side. Agnes Smith Lewis and Margaret Dunlop Gibson, ‘the Sisters of Sinai’, were twins, Biblical scholars, experts in Syriac, discoverers of ancient manuscripts, and two of the most generous benefactors of benefactors of Westminster College in the early twentieth century. They lived together in Cambridge at their house, Castlebrae – five minutes’ walk from the College, and now part of Clare College – and after their husbands had died, they spent their lives together. 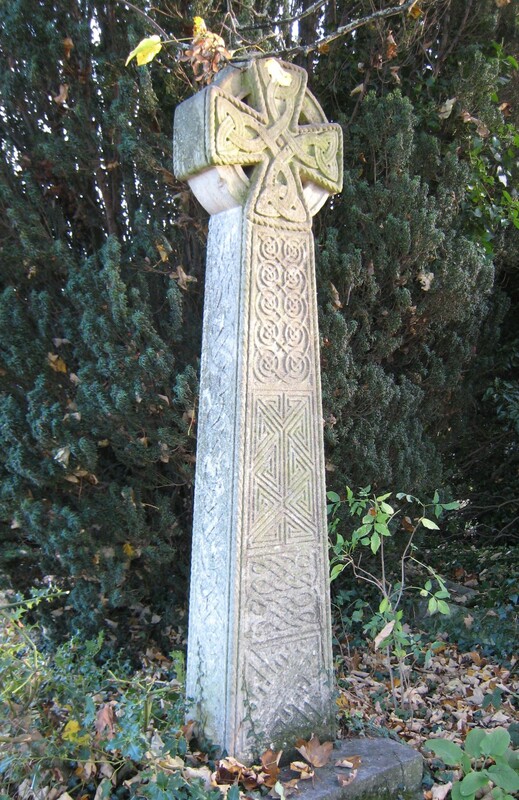 But after a lifetime together, both sisters are buried with their husbands: when Margaret died (in 1920) she, too, was buried next to her husband, James Young Gibson (1826-1886), essayist and translator, in Dean Cemetery, Edinburgh. Imagine trekking through the desert in Egypt, towards St Catherine’s Monastery in Sinai. It’s 35ºC, you’re riding a camel… and as it’s 1892, you’re wearing – like any other Edwardian lady – boots, a corset, and a very large hat! 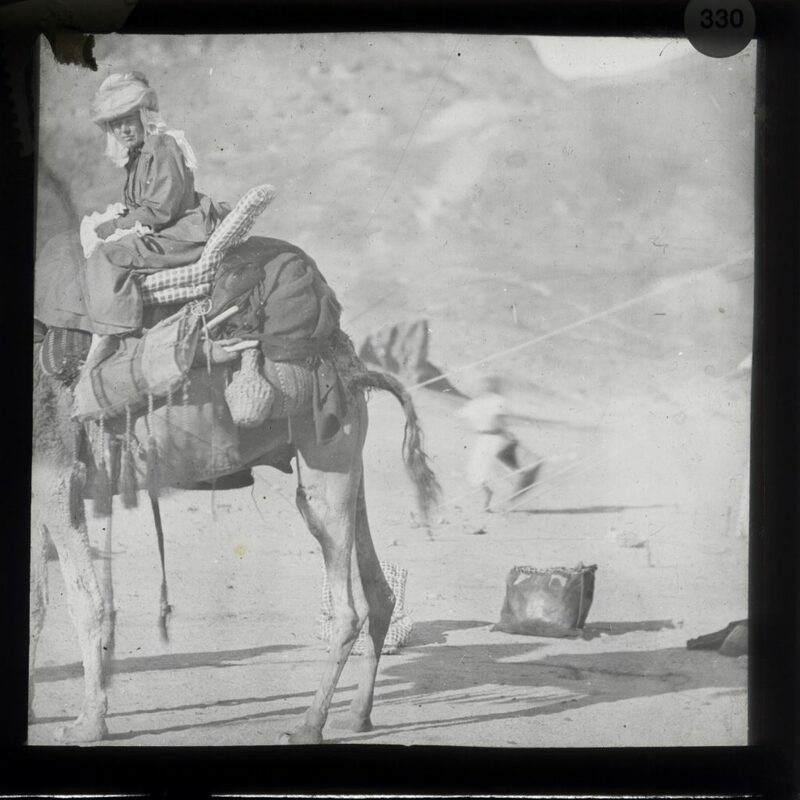 ‘Mrs Gibson 1892 on camel’. With permission of Westminster College, Cambridge. 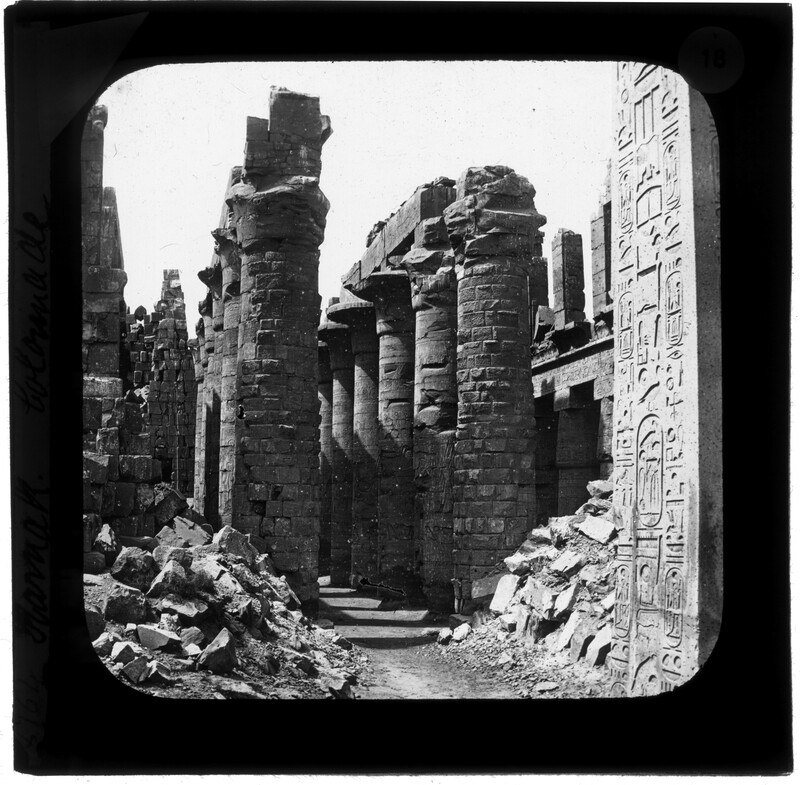 Our Sisters of Sinai, the benefactresses of the College, made no fewer than nine trips to Egypt, Greece, and the Holy Land between 1868 and 1906; and just like more modern tourists, they took plenty of photographs of their travels. Following a project to digitise our collection of their travel photographs, high-quality digital images have just been made available via the Digital Library at CUL. 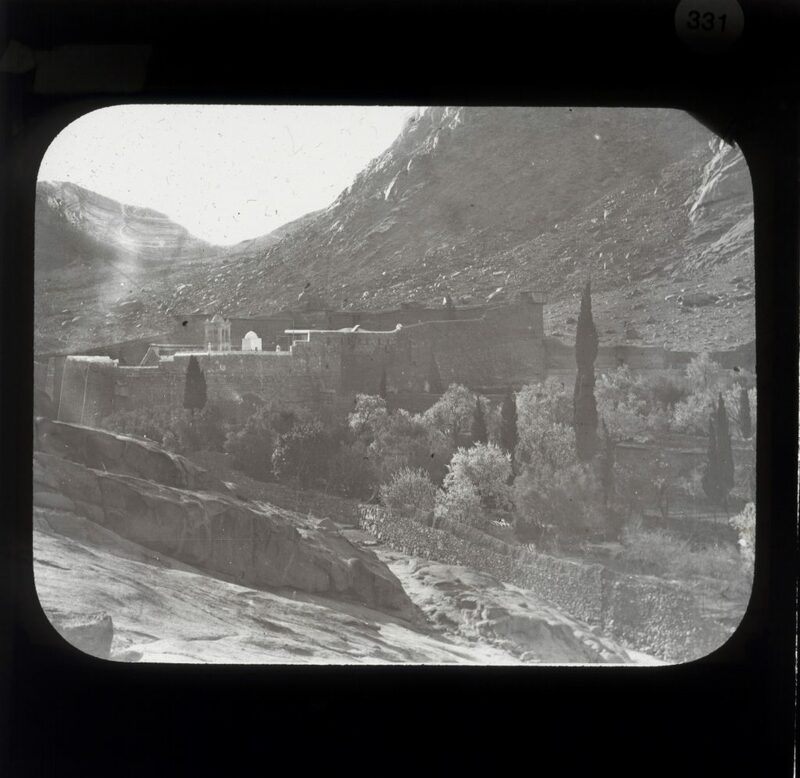 There are almost 300 photographs of landscapes and people taken by the Sisters on their visits to sites of Biblical interest – mountains and monasteries, tombs and temples – across Egypt, including Sinai and the Nitrian Desert, and also to Jerusalem, modern-day Syria and Jordan, and Greece. And they show the people the Sisters travelled with – academics, cooks, monks at St Catherine’s – and provide fascinating glimpses into what travelling in Middle East was like for intrepid ladies in the 1890s. St Catherine’s Monastery, Sinai; and a temple in Egypt. Reproduced with permission of Westminster College, Cambridge. The originals are lantern slides, which the Sisters used to illustrate their books and talks – just over 3 inches square, they are two pieces of glass sandwiching a photographic image. As well as the travel photographs, Westminster also holds a further collection of over 250 lantern slide images, and 22 albums, of the Sisters’ photographs of manuscripts. View the whole collection online here. 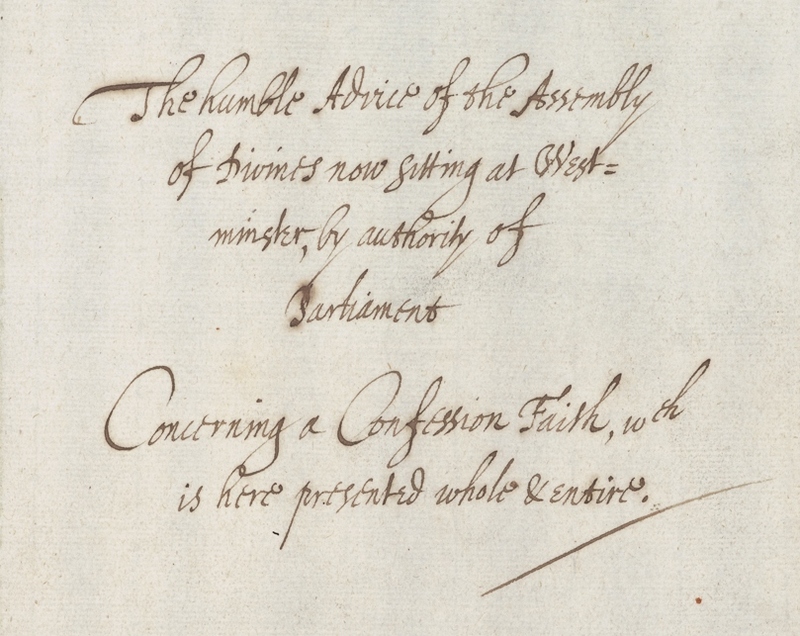 Westminster Confession: Now Online in the Digital Library! This month, we’re proud to announce a new scholarly resource: a virtual copy of the only known manuscript version of the Confession of Faith. Following a digitisation project by the United Reformed Church History Society (URCHS), the Westminster Confession is being added to the Cambridge University Library’s Digital Library website, and the images will be available online to scholars from around the world. Cambridge University Library is well known as a local landmark, with a tower visible from around the town. But for those of us who can’t actually be there in person to peruse the papers, the UL has been developing an incredible library of online images. The Digital Library collections include works from across the University and its Colleges, and feature everything from the earliest surviving financial accounts of the University, dating from 1363, to the diaries of an army surgeon in World War One. As of this month, these documents will be joined by the Westminster Confession, a statement of faith which was followed for several centuries by churches organised into presbyteries of ministers and elders, rather than bishops and dioceses. Hand-written by Cornelius Burges, one of the Assessors appointed by the Westminster Assembly of Divines, this is the copy of the Confession which was presented to Parliament in 1646. The URCHS manuscript is bound in a volume which also contains copies of papers submitted by a group known as ‘the Dissenting Brethren’, with the Assembly’s responses, dating from around the same time – which have also been digitised – and was bought by the Presbyterian Historical Society (a fore-runner of the URCHS) in 1943. See the Westminster Confession online here. The Countess of Huntingdon’s Trip to an Exhibition! Reproduced with the permission of the Trustees of the Cheshunt Foundation, Westminster College, Cambridge. From this week, the spot on the wall of our library where the painting of The Countess of Huntingdon usually sits, will be empty. 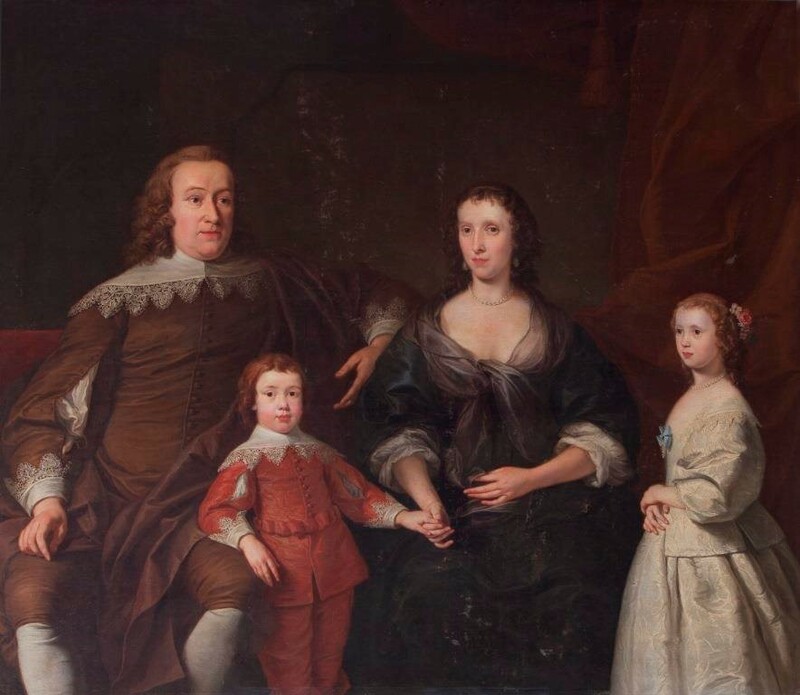 The painting of the Earl and the Countess with their two children by Alexander Soldi, is going off to the Foundling Museum to take part in a major exhibition this autumn. You can read all about it in these links. Not much is known about the provenance or history of this portrait, belonging to the Cheshunt Foundation at Westminster College. 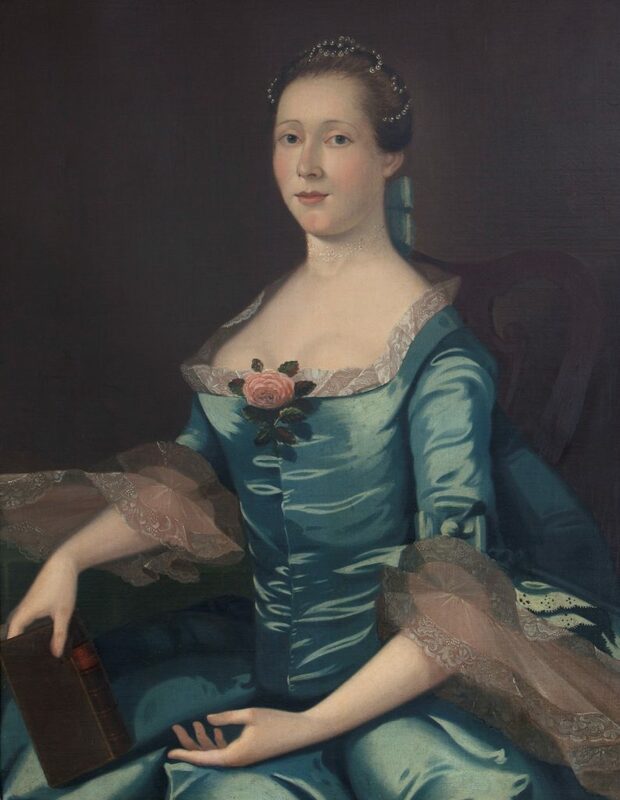 The painting – by a painter of the English School, but unsigned and undated – is known as ‘Girl in a Blue Dress’, and is of Lady Selina Shirley, wearing a blue dress with a pink rose in the bodice, with flowing lace cuffs and pearls in her hair, and holding a book. 311 years ago today, on the 24th August, Selina Shirley was born in 1707 at Astwell House in Northamptonshire. The second daughter of Lord Shirley, Earl Ferrers, in 1728 she married Theophilus Hastings, the ninth Earl of Huntingdon, and became the Countess of Huntingdon. Rather amazingly for a woman of the time, the Countess of Huntingdon went on to found her own College for the training of ministers at Trevecca, in Wales, in 1768; and it is the descendant body of that college – Cheshunt College – which joined together with Westminster College in 1967 and which owns this portrait today. Girl In A Blue Dress. 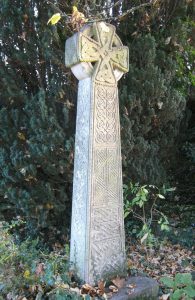 Reproduced with the permission of the Trustees of the Cheshunt Foundation, Westminster College, Cambridge. But is this a portrait of the Selina the Foundress? There’s a question raised by the book she is holding. Detail of Girl In A Blue Dress. Reproduced with the permission of the Trustees of the Cheshunt Foundation, Westminster College, Cambridge. 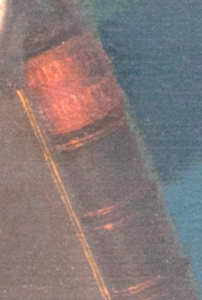 If you look closely, you can just see the title on the spine: it reads “Hervey Medita…”, or (presumably) “Hervey’s Meditations”. (The colours in this smaller image have been adjusted to make the writing clearer.) James Hervey, author and clergyman, was a member of ‘the Holy Club’, a nickname for a small group of students in Oxford in the 1730s, led by John and Charles Wesley (and including, amongst others, George Whitefield and James Hervey) who met to talk and pray. 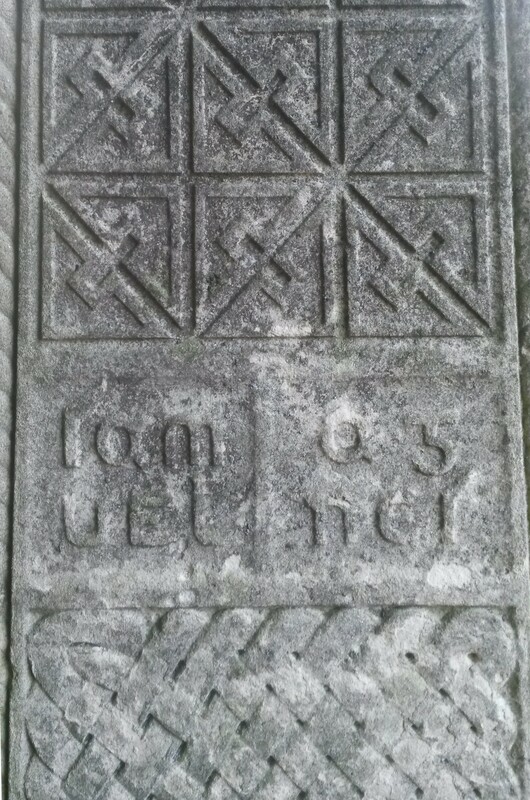 Hervey’s Meditations Among the Tombs was published in 1745. By 1745, Selina, Countess of Huntingdon (1707-1791) was nearly 40 years old – far older than the subject of this portrait! – and had had seven children. Moreover, if this portrait was painted after the publication of Meditations in 1745, she had been married to Theophilus for a good seventeen years and was now, of course, Lady Selina Hastings, rather than Lady Selina Shirley. Is it a portrait from the 1720s, with the title of the book perhaps added later? The Countess was much influenced by the Wesleys and corresponded with John and Charles; George Whitefield was her personal chaplain; could “Hervey’s Meditations”, written by a fourth member of the Holy Club, have been painted in as a suitable title for her to be holding? Or might it be a portrait of one of the Countess’s daughters, and be ‘Lady Selina Hastings’ rather than ‘Lady Selina Shirley’? Selina’s second daughter was called Selina, too (1737-1767). Perhaps it is her elder daughter, Lady Elizabeth Hastings (1731-1808), later Countess of Moira? Or maybe it is a painting of a completely different sitter… and if so, who might she be? –To see more of our paintings, visit the College page on the fantastic ArtUK website, which aims to make images available online of all art in public ownership in the UK (and art in the Oxford and Cambridge Colleges too). have a look at Gilbert W Kirby’s biography, The Elect Lady. visit the Foundling Museum website. 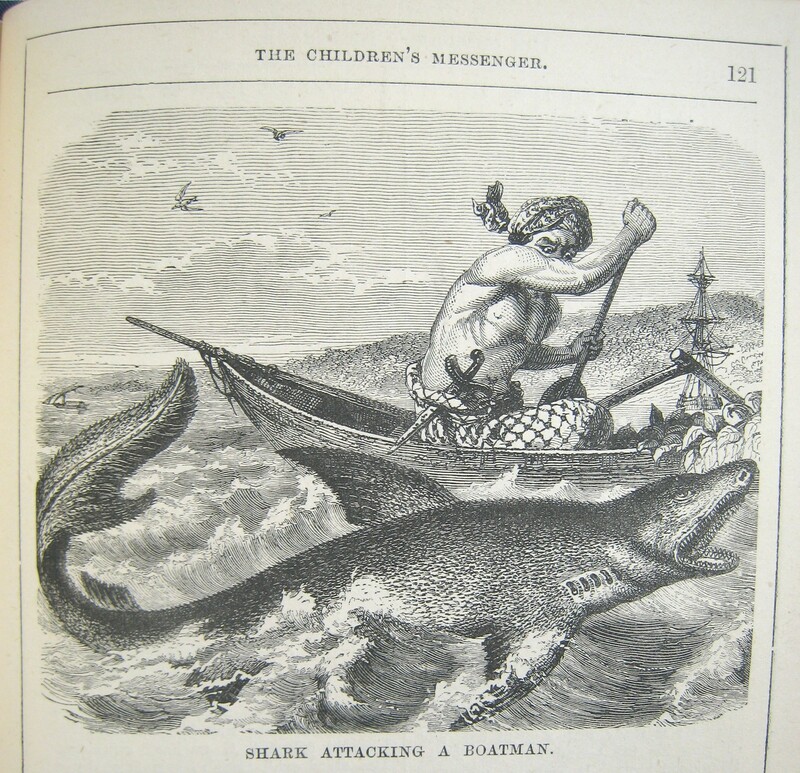 I recently happened upon an interesting image from 1877 entitled “Shark Attacking A Boatman”, in our series of The Children’s Messenger in the library here. It’s an illustration from one of a series of articles by Rev. Archibald Hewan, describing the journey to the Old Calabar Mission, and this one is specifically about “the sharks at Lagos”. 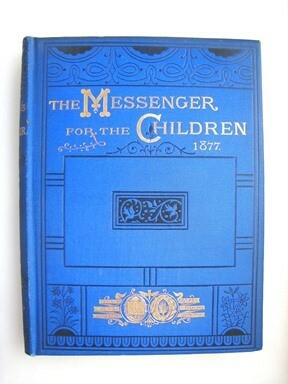 The Children’s Messenger was a monthly magazine produced by the Presbyterian Church of England for young members, and, as well as moral stories and Bible studies, it included many letters from missionaries describing life in far parts of the world – and the Messenger tried to accompany its articles with illustrations. Nowadays, television and photography and zoos and the internet mean that we are familiar with wildlife from around the world; but it seems pretty clear, looking at this picture from 140 years ago, that it was drawn by someone who had never actually seen a real shark. This shark has a pointed snout and (rather strangely placed) gills, but the eyes and head are more like those of a seal. Its fins are reminiscent both of the fins of a bony fish, and of the flippers like a sea lion or a walrus- but are nothing like the smooth cartilage fins of a shark. It has a leaf-shaped tail straight out of a Mediaeval bestiary, and strangest of all, it has fur! Archibald Hewan (1832-1883) was a Jamaican medical missionary to Calabar in Nigeria, appointed in 1854; but the artist is unknown. The anatomical descriptions in Hewan’s text are very vague, if you don’t already know what a shark looks like: it only says “Look at his flat head. You can’t see his mouth; that is quite under” and later refers to his “great eyes”, “great fins” and “great tail”…though if you look closely, you can see that someone has also told the artist that sharks have more than one row of teeth. However, if the artist had only heard or read descriptions of sharks before beginning his illustration, then he’s not alone in the task of trying to draw an animal he’s never laid eyes on. Albrecht Durer’s woodcut of an enthusiastically-armoured rhinoceros from 1515 is one of the best known pictures of an animal by an artist who has never seen his subject. Another famous example is George Stubbs’s portrait of a kangaroo, with a very long tail and no pouch, held at the Royal Museums Greenwich, which was based on descriptions given to the artist by Joseph Banks on his return from voyaging with Captain Cook in 1771, and painted soon afterwards. So our shark is in illustrious company!